Abby the Librarian: 48-Hour Book Challenge, Comin' Right Up! 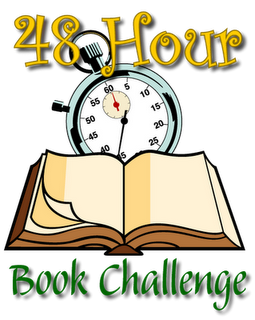 Pam at MotherReader has opened sign-up for the 6th annual 48-Hour Book Challenge, which will be happening the weekend of June 3-5, 2011. Pam's challenging us to read and blog as much as we can for 48 hours straight in an attempt to whittle down our towering TBR piles (and possibly win prizes AND possibly raise money for a charity of your choice). And it will be more fun if YOU do it, TOO! That's right, my friends. One of the best things about this challenge is reading along with a whole community of bloggers, sharing what you're reading, and cheering each other on. So if you're considering it, please sign up! Learn more about the 48-Hour Book Challenge and sign up now over at MotherReader.com!